It's working on an Amazon Dash rival that automatically reorders items when you need it. When Amazon's Dash buttons first debuted two years ago, many thought it was an April fool's joke. A device you could press just to order toilet paper? Isn't that the height of laziness? As it turned out of course, it wasn't a joke at all. From surprise chocolates to Calvin Klein underwear, there are now well over 250 brands that have joined the one-button-press bandwagon. It's no surprise then that Walmart wants to get in on the action too. The retail giant apparently filed for a patent back in October (though it was just published today) for what looks like an Amazon Dash rival, but with an IoT hook. Instead of having to press a button to replenish an order, the Walmart version would do so automatically. 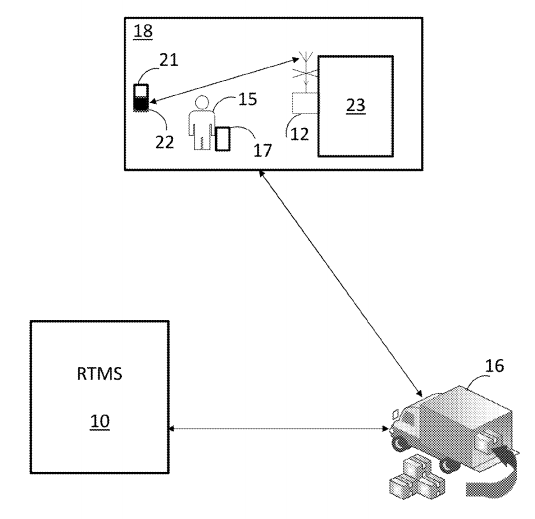 According to the patent application, Walmart's system would require you to add some kind of internet-connected tag on products in order for it to monitor its usage -- the tag would probably use Bluetooth, RFID, infrared, NFC or some other technology. Once you're down to, say, the last four rolls of Bounty, Walmart's system would just automatically order a new batch. Interestingly, the Walmart patent also describes a way to track expiration dates and product recalls. Aside from just providing a quick fix for its customers, Walmart would also use this shopping tech to gain valuable insight on consumer behavior. So for example, it would know how frequently you use a certain product and at what times of day. The application goes on to say that based on this data, Wal-Mart could then "cross-sell" you products that better fit your lifestyle. So if you're constantly buying shoes for example, it might suggest a more durable brand the next time around. We should note that this isn't the first time Walmart has tried to take on Amazon Dash. Two years ago, the company partnered with Hiku, a small voice-enabled shopping button that would let you add items to a shopping list just by speaking or scanning bar codes. Of course, the issue with Hiku is that it was third-party hardware that could be used with more than just Walmart. Oh, and it was also $79, which is definitely way more expensive than the typical Dash button ($5, and you often get the money back after the first order). It remains to be seen if Walmart will actually bring this patent application to life, but it does at least indicate that the company is well aware of its online rival and is doing all it can to beat it.